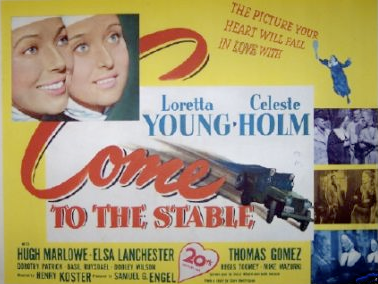 My final review for Christmas 2012 is the 1949 film Come to the Stable. It’s not a Christmas movie per se, but it does include the building of a church in a town called Bethlehem so it’s good enough to round out the series. Come to the Stable holds more than a few passing similarities to the 1947 film The Bishop’s Wife, which I also reviewed last year as part of my 25 Days of Christmas, but I found this lacking the charm of that film (probably because of the loss of Cary Grant for this movie). The film is a breezy 99 minutes, and is wholesome, non-denominational fun, but I found myself calling all the beats ahead of time and enjoying Celeste Holm. 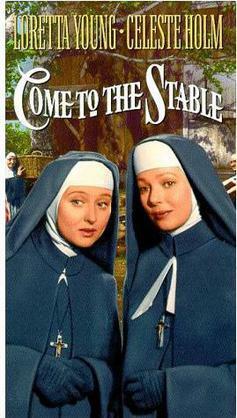 Sister Margaret (Loretta Young) and Sister Scholastica (Celeste Holm) are nuns who dream of opening a children’s hospital in the small town of Bethlehem. As they try to raise the money, the townsfolk find themselves changed by the happy nuns. 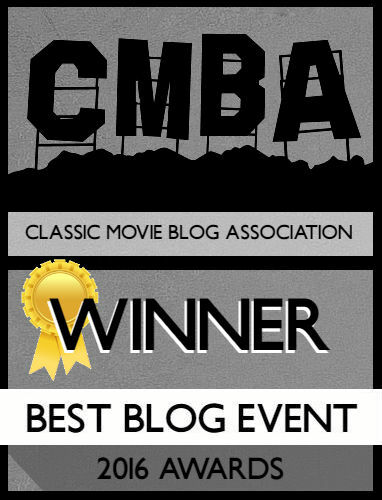 Come to the Stable is part of the cadre of films that I label “okay.” It’s such a generic moniker to use in a review, but that’s what this movie was to me. It was neither fantastic nor terrible, it was okay. Director Henry Koster made one of my favorite Christmas movies of all time, The Bishop’s Wife, as well as other classics like Harvey and The Robe while co-screenwriter Sally Benson wrote Viva Las Vegas and Shadow of a Doubt. With that, I found the film to be pleasant overall. There are genuine moments of humor and heart, but the story is middling. I don’t think it helped it seemed to borrow too heavily one elements from The Bishop’s Wife; both films follow religious characters trying to build a meeting place. In The Bishop’s Wife it was a priest trying to build a church, here it’s nuns trying to build a hospital. Both also involve debating the placement of a name forced upon the characters by someone donating the money, although here it’s more of a request than a demand. It appeared as if Koster and crew wanted to stick with what worked, and it was too close for comfort. With that, I did love how non-denominational this film is. I try not to judge religion too harshly in movies, but there’s no specific religious affiliation made, and no one is excluded from the nuns kindness. The acting is well-done, particularly from Celeste Holm, who I love. Her French accent leaves a lot to be desired, but she is the sweeter and trusting part of the duo. Throughout the movie she’s filled with humor. One scene has Sister Margaret driving a jeep like a maniac; when she and Sister Scholastica leave the car to the driver Anthony (Dooley Wilson), Sister Scholastica tells him to “drive carefully,” as if he’s the bad driver. By the end, the film leaves an important bet to Scholastica winning a tennis match and there’s something so hilarious about her playing a riveting game of tennis in a nun’s habit. Loretta Young, to me, is the female version of Jimmy Stewart. In the three films I’ve seen her in she always plays the pious, utterly devout woman remaining firm in her beliefs. 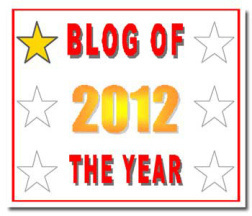 That image also translates into her personal life from what I’ve read. With that, I don’t know of any one movie where I’ve said “wow” to her performance. She’s good in The Bishop’s Wife, but she’s helped by Cary Grant. Here, she does carry the film and is good, but there’s nothing great about her. It’s not a performance on par with an Ingrid Bergman (no, I have not seen The Bells of St. Mary’s which I’ve heard this compared to) or a Katharine Hepburn. Young doesn’t dominate and define the role. Next to her is Hugh Marlowe as Robert Masen. I found myself continually saying “It’s Hank Entwhistle” throughout the whole thing (see my Monkey Business review). Marlowe always plays the same type of uptight person, and he’s no different here. The film places him in the miser role fairly late in the movie and with little motivation for it. He comes off as heartless with no true justification outside of the nuns annoying him. Which leads me to a key problem I had in enjoying Come to the Stable; there’s no central antagonist. The film is a series of problems the nuns face in the lead-up to building the church, and everything is easily resolved with the adage that it’s “divine providence.” You expect the main issue the nuns face to be the evil Luigi Rossi (Thomas Gomez) who owns the land the nuns want to build on. Several characters mention Rossi is not going to give up the land easily, and that he’s some type of shady individual. When the nuns ask where to find Rossi, Anthony tells them to ask any cop, with the idea being Rossi is well-known to law enforcement for his wrongdoings. Of course this all goes over the nuns’ heads. When they finally do encounter Mr. Rossi, I expected him to be the villain throughout the entire film. Instead his story is resolved with the installation of a stained-glass window. I will say his scene is beautiful as he gives a speech detailing the deaths of his wife and son with the emphasis that the war is still lingering in the minds of the parents who have lost their children. It’s a powerful scene, but leaves the film with little obstacles; thus why I believe they push the villain role onto Robert. Come to the Stable is a good movie, but that’s all it is. The acting from Holm is good, and there’s a few really enchanting moments, but it’s just okay. I would watch this again if it was on, but I wouldn’t seek it out. I still prefer The Bishop’s Wife.